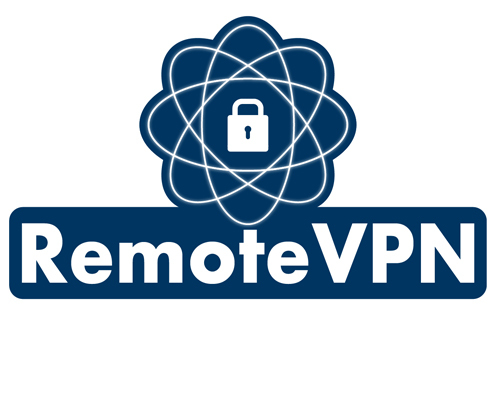 The BAScloudVPN service is being re-branded as RemoteVPN. The service is still fully supported by Contemporary Controls. We'll be rolling out new features and support products in 2018. Accessing machines at remote sites over the Internet can be a challenge since firewalls block messages that originate from the Internet. Although it is possible to open up ports in the firewall using Port Forwarding, IT professionals are reluctant to compromise the security of their network and usually decline this type of request. Without permission from the IT department, the systems integrator is left with few options. However, one solution to this problem is to incorporate a Virtual Private Network (VPN). By hosting a VPN server in the cloud, simplified secure remote communication over the Internet is possible. The BAScloudVPN is a service offered by Contemporary Controls that allows systems integrators remote access to systems from the convenience of the systems integrator's home or office. A cloud-based VPN server hosted by Contemporary Controls provides the critical connection between two VPN clients-one installed on the systems integrator's PC and the other permanently installed on Contemporary Controls' VPN router located at the remote location. Using this approach, two secure VPN tunnels are created with no concern for intervening firewalls. The BAScloudVPN is based on OpenVPN-a well supported open-source VPN technology. In addition to OpenVPN PC clients for Windows machines, OpenVPN clients are available for iOS and Android mobile devices for greater flexibility in accessing sites remotely. 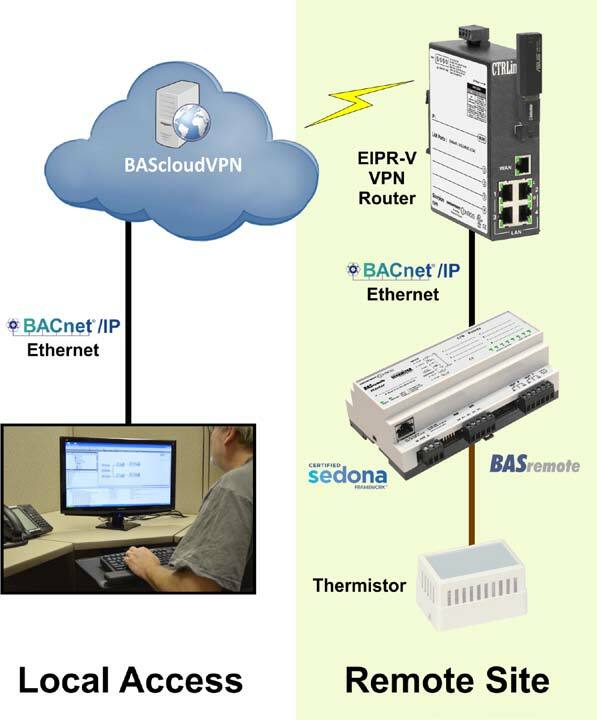 The figure to the left shows an example of remote monitoring with BAScloudVPN. A systems integrator working from his office must view a recently installed building automation system at his client's location. To access this remote site, he uses the BAScloudVPN which consists of a virtual private network server hosted by Contemporary Controls. Using his local Internet service, he first opens up VPN client software (OpenVPN client) on his computer to provide a VPN tunnel connection to the BAScloudVPN functioning as an OpenVPN server. A similar VPN tunnel connection to the BAScloudVPN already exists at the remote site between the BAScloudVPN and Contemporary Controls' EIPR-V Wired and Wireless VPN Router. With Niagara Workbench he can access a Sedona controller at the remote site to examine a temperature point of interest. The BAScloudVPN makes the required connection between the two VPN tunnels. Once this connection is made, he can service the remote equipment-as if he was physically onsite. In this example, the remote site accesses the BAScloudVPN via a cellular network using Contemporary Controls' EIPR-V VPN Router-while the systems integrator accesses the Internet via a wired connection. BAScloudVPN provides an effective, secure means of remote access with no concern for intervening firewalls because both VPN tunnels initiate communication to the Internet. The BAScloudVPN can carry any IP traffic-for example, from Workbench to a Tridium JACE or between two IP-based controllers. To purchase the BAScloud VPN service, please call your regional office to establish an account.